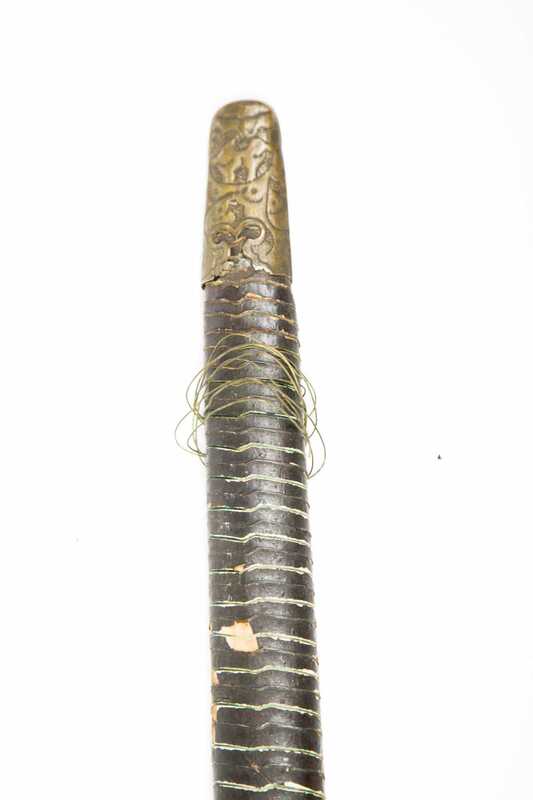 Chinese Sword With Wire Wrapped Wood Scabbard. Braided twine covered grip. 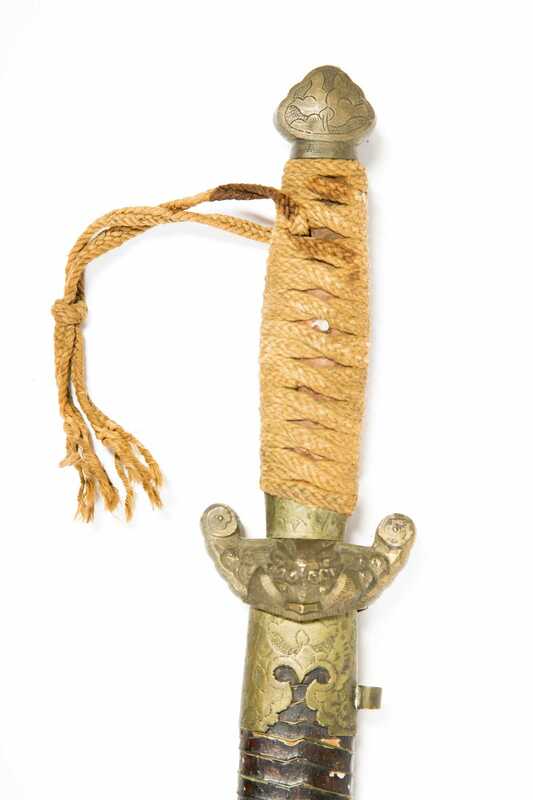 Decorative pommel and guard with dragon motif on both sides of the guard. 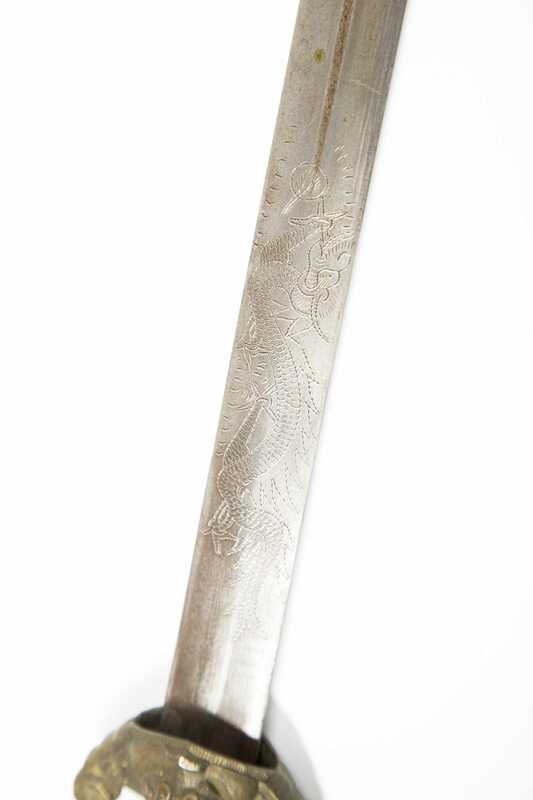 Dragon and possible maker's mark on single fuller spear point blade. 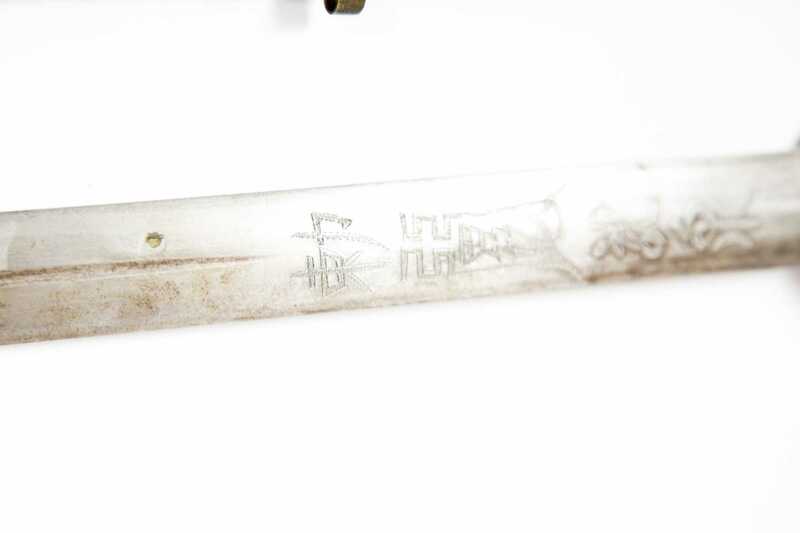 Ornate brass scabbard fittings. Ca: 19th Cent. Blade Ln: 29.5". Loa: 36.5".